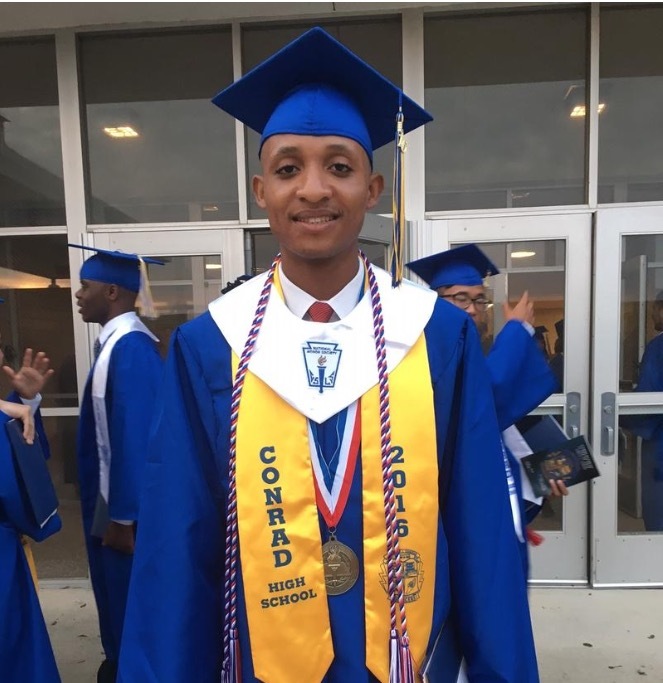 Recent Emmett J. Conrad High School graduate, David Kapuku, earned his spot as the 2016 salutatorian, but not without challenges to adjusting to life in a new country. Hear his story of academic achievement, which led him to being accepted to the University of Texas at Austin. He plans to study petroleum engineering in the fall.